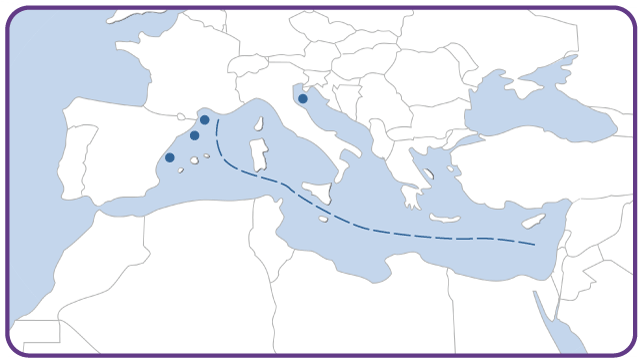 Most of the strains that are currently available in the MOLA collection were isolated in the northwestern Mediterranean Sea. In Summer 2008, additional isolates will be collected during the BOUM cruise along an east-west transect of the Mediterranean basin. To learn more about this cruise, see the dedicated website. We isolate microorganisms from samples of the water column, at the air-water interface, in sediments, from the deep environment, and from different animals.